Waxed Bridle Leather cartridge bag with a capacity of 150 cartridges and has a hinged speed load design allowing for easy access. 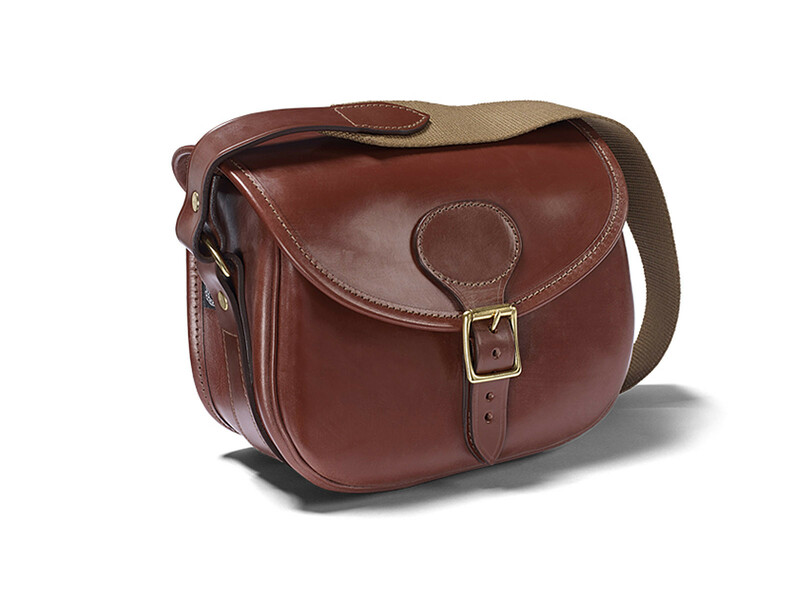 Waxed Bridle Leather cartridge bag with a capacity of 150 cartridges and has a hinged speed load design allowing for easy access. It has a 2" wide cotton webbing shoulder sling for comfort and there is a full suede lining. 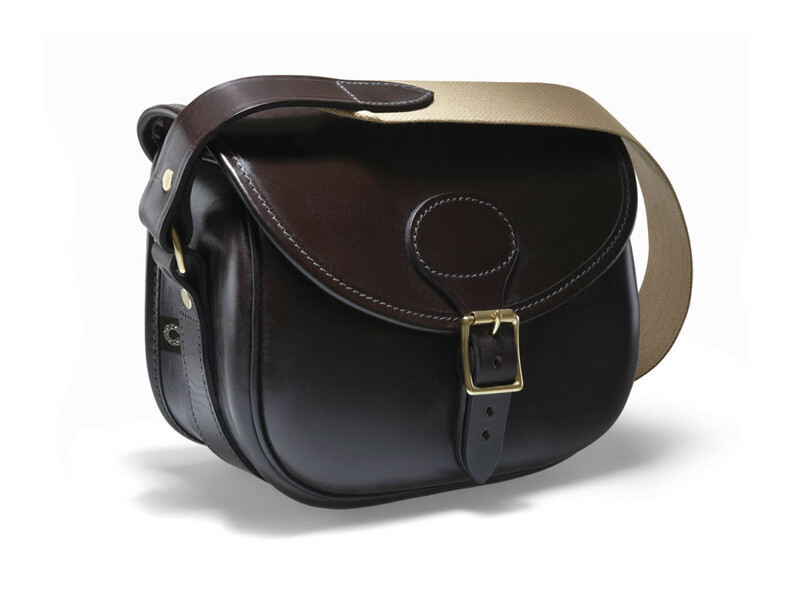 The Malton range is a selection of traditionally made Leather Cartridge bags, Gunslips & Cartridge cases. All are made from natural vegetable-tanned leather with a semi-aniline and greased grain to give a superb finish. All our bridle leathers are traditionally tanned using techniques passed down through the generations. Each carefully-selected skin is hand-cured and stained by extremely skilled craftsmen, producing the smooth aniline finish. Finally, the wax finish is applied. This age-old blend of fats, oils and waxes feeds the leather adding a deep layer of protection and giving a very distinctive look.